Delcor Ltd is registered in England, company no. 07018551, VAT No: 979243081, and our registered office is at Delcor House, Double Row, Seaton Delaval, Northumberland, NE25 0PR. Delcor Ltd is authorised and regulated by the Financial Conduct Authority for consumer credit. For correspondence please contact us at customerservices@delcor.co.uk or call us on 0191 237 1303. 1.1. These Terms and Conditions of Trading (‘Terms’) apply to all contracts between Delcor Limited and/or our subcontractors (‘us/we/our’) and the customer (‘you/your’) in relation to all sales of our products and services. 1.2. By accessing and using our Website you agree to the terms contained in our Terms of Website Use. If you do not agree with or accept any of these terms, you should stop using the Website immediately. 1.3. Any order you place with us is not accepted until we have provided you with a written sales order confirmation (by email, post or in person). 1.4. Clause 16 (Website purchases) applies only to sales made through our Website. 1.5. Any typographical, clerical or other error or omission in any sales literature, quotation, price list, acceptance of offer, invoice or other document issued by us is subject to correction without any liability on our part. 1.6. We reserve the right to update these Terms from time to time by posting the updated version on our Website, at which point they will apply to any future orders made (but will not affect any existing orders). Examples of reasons for change include changes to our Products, prices, guarantee or delivery terms, changes to our business needs or supply structure, or for technical or legal reasons. The following definitions and rules of interpretation apply to these Terms. 2.1. ‘Bespoke Product(s)’: any Product that we make to your specifications or that we personalise to you. This includes (without limitation) where you request that we make changes to a Product, including to the finish, stitching, piping, cushion pads, fabric mixes or upholstery. This also includes Customer Own Material Products. 2.2. ‘Collection Item(s)’: an eligible furniture item that we agree to collect from you. 2.3. ‘Clearance Product(s)’: any Products sold at a reduced price to our normal retail price, as remnants or as substandard, including but not limited to Products sold at a discounted price as a direct consequence of showroom or warehouse clearance. 2.4. ‘Customer Own Material(s)’ and ‘Customer Own Material Product(s)’: have the meanings given to them in clause 10. 2.5. ‘Guarantees’: our Guarantees are set out in clause 11. 2.6. Modular Sofas: corner sofas, chaise sofas, or any sofa which is produced and assembled in individual modular units. 2.7. ‘Product(s)’: any sofas, armchairs, beds, footstools, cushions, mattresses or other products that we sell. 2.8. ‘Standard Range’: any Products that are listed on our Website in the sizes and fabrics as listed and which are not Bespoke Products, Clearance Products or Customer Own Material Products. 2.9. ‘UK Mainland’: this is the main island of Britain; it excludes Northern Ireland and any islands that are geographically separate from the main island of Britain. 2.10. ‘Website’: www.delcor.co.uk and our associated web pages. 3.1. Our Website is intended primarily for use by individuals who are resident in the UK. However, we may at our discretion also accept orders from individuals who are resident outside the UK. 3.2. Please note that our delivery and returns policies differ according to whether you are resident in the UK Mainland, non-UK Mainland or outside the UK. Please see clauses 7 (Delivery), 9 (Cancellations and Returns) and 11 (Guarantees) for further details. 4.1. For all Products that you order through our website, it is your sole responsibility to choose the colour of their fabrics that is suitable for your intended use of those Products, and to take all appropriate measurements in your property to ensure that the dimensions of those Products are suitable for your intended use of them. 4.2. The dimensions of Products we supply may vary from those stated in their specification but we will endeavour to ensure that they are within a 1.5% tolerance of those stated. 4.3. Whilst we try to ensure that the colours of our Products are as accurately displayed as possible on the Website, the actual colours that you see on your computing device may vary depending on the monitor that you use. Any Clearance Products will be identified and be stated to be sold as such on the Website or in our showrooms. Such Products may not necessarily be in perfect condition, so please check before you buy that they are of a satisfactory quality for their intended particular use. Please see our limited returns policy for Clearance Products at clause 9. 4.4. We will endeavour to match as accurately as possible the colour and texture of the fabric of your Products to the samples chosen, but variations in both the colour and texture may occur. 4.5. Leather Products are made from natural leather and accordingly they may not be uniform in colour or texture. Only the finest hides are selected but they will show natural marks and scars on the hide. Some leathers will mellow with age and exposure to sunlight and heat. 4.6. We have a policy of continuous product development and reserve the right to amend the specification of Products without prior notice in relation to future sales. 4.7. If we experience difficulties in supplying certain Products we may need to substitute them with alternative Products of equal or better standard and value. We will email you to let you know if we intend to do this and your order will be put on hold pending your acceptance of the change; an appropriate substitute Product may not always be possible. If you do not accept a substitute Product which is materially different from the Product which you originally ordered, we will cancel your order for the relevant Product and provide you with a full refund. 5.1. All prices include VAT at the standard rate, unless stated otherwise, at the prevailing rate and are subject to any promotional offer or discount. If you live outside the UK, please note that the price you see on our Website may differ from what we charge you due to, for example, differences in your country’s VAT rate. 5.2. All prices which we have quoted to you are valid for up to 28 days from the date on which the quote was given, unless otherwise indicated by us. 6.2. Delcor will not undertake the delivery of any order where the balance remains outstanding. Delcor reserve the right to cancel a prearranged delivery without any prior notice where the balance remains outstanding. Customers purchasing via Delcor credit facilities will be notified by post of the date the first instalment will fall due, which will be up to 4 weeks after delivery. 6.3. Unless you apply for and are accepted for a payment plan with our consumer credit provider, we require payment in full at the time you place your order. If you have been accepted for a credit payment plan then we require payment of the required deposit (if any) at the time stated for payment of that deposit in your credit payment plan agreement. Any delay in payment will affect the delivery of your Products. 6.4. We accept the forms of payments that are stated on our Website during the online purchase process. 6.5. When you buy online from us you have the choice of applying for a payment plan with our consumer credit provider by adding your purchase to the shopping basket, selecting the option to pay by credit finance, and completing a finance application form. If your payment plan application is approved, you will receive an email informing you how to download the finance agreement offered. Such agreement will provide the full details of the payment plan that is offered, therefore please read this agreement carefully before deciding whether you wish to enter into it. 6.6. By submitting a credit payment plan application to us you consent to us or our consumer credit provider carrying out a credit score check on you. 6.7. Credit payment plans are only available to UK residents aged 18 and over, and are subject to status, a minimum order value and acceptance by us or our consumer credit provider. 6.8. For further details about credit payment plans that may be available for our Products, please see the Finance section of our Website or contact us at customerservices@delcor.co.uk or call us on 0191 237 1303. 7.1. Delivery forecasts are approximate and the company cannot be held liable for any consequential loss or compensation claims associated with late deliveries. 7.2 All orders are delivered at a subsidised nominal charge, details of which are available on request and within our delivery area. 7.3 Delcor reserve the right to vary this charge at any time by giving notice to the customer. It is the customer’s responsibility to ensure that it is practical to complete the delivery i.e. covering carpets and if necessary bear any costs for the removal of doors, banisters, windows etc to accommodate the furniture. 7.4 Delcor reserve the right to abort a delivery attempt if the circumstances are deemed dangerous to the driver/customer or if damage to the property seems possible. Our delivery department will contact customers 7-10 days prior to the proposed date of the delivery in order to finalise delivery details. We will always try to accommodate customer’s delivery requirements - however, a timed appointment is normally not possible. An approximate guide of am or pm can usually be given but it is difficult to be more specific. Delivery of a special nature, or outside of the Delcor delivery area will be handled by a reputable carrier (delivery charges and details will be provided to the customer prior to placing the order). All carriers are fully covered by their own insurance and take full responsibility for making necessary arrangements to deliver to the customer’s address. 7.5. Recovers are subject to a different collection and delivery charge, details of which are available on request. 7.6. If a customer is unable to accept delivery within the specified lead time, Delcor will store the customer’s order for a period of 14 days. Should delivery be delayed beyond 14 days then Delcor will continue to store the furniture providing all outstanding balance payments are made in full. 7.7. Can we please ask that you make us aware of any claim regarding shortage or damaged merchandise to our head office as soon as possible after delivery taking place. 7.8. Any damage to your property or its contents as a direct result of our delivery service must be reported within 48 hours of the delivery taking place. If you do not report such damage to us within this time frame then we shall not be liable for any such damage. 7.9. Items for collection from the showroom must be collected within 7 days of notification. Payment for the item is required 7 days prior to the collection taking place. 7.10. For all orders from our Website range, we aim to deliver Products to your specified UK Mainland address within eight to twelve weeks of the date on which we accept your order. 7.11. For other orders, including Bespoke Products, this time frame may vary. In all cases we will provide you with an approximate delivery estimate at the time you place your order and we shall provide you with a precise delivery date and time (‘Confirmed Delivery Date’) closer to the date of delivery. 7.12. Our delivery teams only operate during our delivery hours. These are: for Monday to Friday, between 8am – 7pm. 7.13. If you are unable, for whatever reason, to take delivery of your Products on the Confirmed Delivery Date, please contact us at least 48 hours before the Confirmed Delivery Date by emailing our Transport department at bdelarosa@delcor.com or customer services on customerservices@delcor.co.uk. If you do not email us at least 48 hours before the Confirmed Delivery Date we will charge you an administration fee of £25 for arranging a new delivery date. 7.14. We will endeavour to deliver your Products on the Confirmed Delivery Date; if we are unable to do so we will endeavour to contact you at least 48 hours beforehand to arrange a new delivery date. 7.15. In the event we are unable to complete a delivery because of access constraints to and/or in the building, a £80 re-stocking fee will be charged. It is your responsibility to advise us at the time of ordering of any non-standard delivery circumstances that may apply. 7.16. We shall not have any liability to you for any delivery failures or delays that are caused by anything beyond our reasonable control. Delivery to the UK Mainland 7.16. 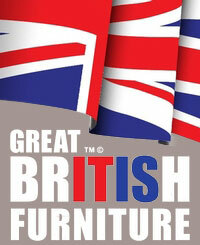 We will deliver your Products to the UK Mainland only. All other destinations outside the UK please telephone our head office for a quote for delivery, or visit your nearest store. 7.17. To avoid any damage to your property or any items therein during the course of delivery, it is your responsibility to ensure clear access to the relevant room(s) in advance of delivery, including keeping children and pets out of the way, removing any precious items and protecting floors as necessary. 7.18. We are not responsible for the removal or movement of any furniture or other items upon delivery unless we have agreed this with you in advance. 7.19. Deliveries are available without the use of a suitably large lift up to the third floor of a building. If delivery to a higher floor without the use of a suitably large lift is requested then we will inform you whether we can deliver to that floor and, if we can, additional delivery charges may apply. 7.20. It is your responsibility to ensure that two of our delivery team members are able to access the room(s) for delivery of the Products. Our delivery team reserves the right not to deliver the Products if they believe it is unsafe to do so for any reason. 7.21. If we accidentally damage Products in the course of delivery, then our liability for that damage is limited to the repair, refund or replacement of the Products or the value thereof. Where possible, refunds will be made using the same means of payment as you used to purchase the Products. In the case of card payments, refunds will be made to the original card of purchase. 7.22. Any damage to the Products or your property or its contents as a direct result of our delivery service must be reported to us by email within 48 hours of the delivery taking place. If you do not report such damage to us within this time frame then we shall not be liable to you for any such damage. 7.23. Our delivery team may inform you that they are willing to deliver the Products but that, in their opinion, access to the delivery address is inadequate for them to make delivery without risking causing damage to the Products or your property or its contents. In this event, if you request that our delivery team proceeds with delivery then such delivery will be at your own risk and we accept no responsibility for any damage that may occur. 7.25. If you require the Products at a location outside the UK Mainland we can deliver to any port on the UK Mainland agreed with you at the time of accepting your order; it is for you to arrange for the onward shipping. It is your responsibility to check the condition of the Products at the location where we deliver (this can either be you personally, a representative of the shipping company, a relative or an employee of yours). Liability for the Products becomes yours upon the earlier of our delivering the Products to you or your agent at the relevant port or the signature of our relevant dispatch note by you or your agent. Please note that your right of return is modified as set out in clause 9.7. 7.26. Products transported outside the UK may be subject to customs, handling, import and/or export duties, and may require licences, clearances and other consents in order for the Products to be so transported. You will be responsible for the payment of any such duties and for obtaining and maintaining any such licences, clearances and consents. We therefore recommend that you contact your local customs office or an experienced export carrier for further information before placing your order. 7.27. You must comply with all applicable laws and regulations of the territory for which the Products are destined. We shall not be liable for any breach by you of any such laws and regulations. 8.1. The Products will be at your risk from the time of delivery to the UK Mainland address which we specify in our order confirmation to you. 8.2. Ownership of the Products will only pass to you when we receive full payment of all sums due in respect of the Products, including delivery charges (if any). 9.1 It is the customer’s responsibility to ensure that all furniture details on the order form are correct prior to manufacture of the product - this includes any requested modifications. Should the order be altered without valid reason whilst at a stage of production, the customer shall pay a reasonable pre-estimate of the consequential monetary loss to Delcor. 9.2 Customers will lose 60% of the total order value if furniture is manufactured to an exact specification and is no longer required/ returned to Delcor. 9.3 In the event of a customer wishing to cancel the contract during manufacture without valid reason, the customer will lose 50% of the total order value - details of which will be provided to the customer upon request. 9.4. You have the following rights set out in this clause 9 provided that you have purchased our Product(s) online only and as a consumer and not otherwise. For the purpose of these Terms, you are a ‘consumer’ if you are an individual purchasing Products for purposes that are wholly or mainly outside your trade, business, craft or profession. 9.7. In the event we are unable to complete a delivery (including without limitation a delivery of an exchanged Product) because of access constraints to and/or in the building, a £80 re-stocking fee will be charged. It is your responsibility to advise us at the time of ordering of any non-standard delivery circumstances that may apply. 9.8. If you exercise your right to cancel an internet Product then (subject to the terms of this clause 9) we will refund the price of that Product you paid to us when you placed the order, including the costs of delivery (except for the supplementary costs arising if you chose a type of delivery other than the least expensive type of standard delivery offered by us) up to the amount of the least expensive delivery. Where possible, refunds will be made using the same means of payment as you used to purchase the relevant Products. In the case of card payments, refunds will be made to the original card of purchase. 9.9. Products must be returned to us in a saleable condition and we reserve the right to make reasonable deductions from the amount refunded to you if there are signs of wear and/or damage to the Products. All returned Products will be inspected in our warehouse and, if deemed to be damaged or sullied, we will charge you a fee to reflect the amount by which the value of the Products has been diminished. 9.10. We will collect any Products which are the subject of a cancelled order from the UK Mainland address to which we originally delivered the Products. 9.11. If you order Products and you arrange for the Products to be shipped to a location outside the UK Mainland, clauses 9.2 and 9.6 are modified in that you still have the right to return the Products but it is your responsibility to arrange for and pay for the Products to be shipped back to the UK Mainland and stored there until the time that we have agreed to collect them. We will collect the Products from any address on the UK Mainland (for example, a relative’s house or a shipping and storage facility); unfortunately we cannot wait at a port to collect the Products direct from any vessel. 9.12. If you wish to exercise your right to cancel a Product order please contact us on 0191 237 1303 or email us at customerservices@delcor.co.uk. 9.13. This clause 9 does not affect your statutory rights. 10.1 A sample (A4 in size) must initially be forwarded to head office (details of which will be provided to the customer on request) with details of the yarn content for confirmation that the fabric is suitable for our manufacturing process. The fabric must be a minimum of 137 centimetres wide and once approved the fabric supplied must be accompanied by the relevant cigarette and match test certificate to meet the requirements of BS2543. However, Delcor cannot be held responsible for any problems associated with wear or fabric fading in relation to aftercare. 10.2. This clause 10 applies to any fabric (or other item) that you supply to us or which you specify and is not on our Website (‘Customer Own Material’). We refer to any Product that, at your request, we make with a Customer Own Material as a ‘Customer Own Material Product’. 10.3. We may refuse to use any Customer Own Material which we consider to be unsuitable. 10.4. You agree to ensure that your Customer Own Material is in all respects safe and suitable for application in the Product. 10.5. Customer Own Materials will become owned by us when we receive them; ownership in any of them which we return to you (whether unused or incorporated in the Product) will revert to you upon delivery to you. 10.6. We may cut, work on and otherwise treat and deal with your Customer Own Materials as we consider appropriate in the course of making the Product and (unless you state in writing with your order that surplus should be returned to you) we may use or dispose of excess fabric or items as we think fit. 11.1. Our guarantees do not cover fair wear and tear, neglect, abuse or misuse of your products (including failure to follow any product care instructions), loss or damage including rusting or corrosion due to unreasonable exposure to water, sunlight, heat or infestation of boring insects, accidental damage due to fire, smoke, explosion, lightening, sunlight, or animals or damage caused by a third party. Our guarantees are limited to products sold and retained in the United Kingdom and used solely for non-commercial purposes. 11.4. Where defective Products are covered by one of our Guarantees, we will endeavour to repair them free of charge. If a repair is not possible you will be offered a replacement and only if a suitable replacement is not available will you be offered a refund. Where possible, refunds will be made using the same means of payment as you used to purchase the relevant Products. In the case of card payments, refunds will be made to the original card of purchase. 11.5. Our Guarantees may not be assigned to a third party. 11.6. The law gives you certain statutory rights for the repair, exchange or refund of faulty products. These rights are not affected by this clause 11. 12.1 You have the right to reject goods that are unsatisfactory quality, unfit for purpose or not as described, and receive a full refund. The goods need to have been returned to us within 30 days from the date the goods were delivered. If an item is faulty and needs to be returned, you will not need to pay postage costs for the return of damaged, not as described or faulty items and a full refund of the total cost of returning the faulty item will be issued. 13.1. Delcor and the fabric manufacturers / suppliers guarantee all fabrics against manufacturing defects for 1-year. 13.2. Whilst all fabrics are manufactured to the highest possible standard and only the best dye stuffs are used, sunlight will fade most fabrics and leathers and precautions should always be taken to protect all textiles from exposure to direct sunlight/heat. 13.3. Fabrics are categorised for wear based on the results of the BS Martindale rub test. Delcor recommend that your chosen fabric should achieve a minimum rating of general domestic use. 13.4. Where relevant the application of fabric protection treatment is covered by a 5-year guarantee, full details and prices are available upon request. 13.5. Fabric batches may vary. The majority of our fabrics are created from natural materials, and thus, unlike manmade products, there can be slight variations between batches. The most common variation is that of colour – although the actual variation is often almost negligible or very slight. Some fabrics are more susceptible to this than others. 13.6. Whilst we guarantee to make all your order from the same batch, we cannot guarantee that subsequent orders will match your original order. 13.7. Because of the nature of the materials used, any finishes that are applied to the exterior of our Products may alter the final colour and feel of the fabric. 13.8. We cannot accept any responsibility for fading or discolouration caused by exposure to direct or indirect sunlight. Sunlight affects different fabrics in different ways, but sunlight, whether direct or indirect, will nevertheless always affect fabric colour. Darker fabrics, because they have further to fall, are likely to discolour and fade more. Different fabrics, dark or light are liable to fade or discolour at different rates. 13.9. After delivery, we cannot accept any responsibility for fading or discolouration, due to exposure or contact with any chemicals sprayed nearby or applied directly. Please also note that there are certain aerosol sprays, most particularly odour neutralisers and nicotine neutralisers, which contain chemicals that can react with fabric dyes (the cans should warn against spraying close to upholstery without first covering it). 13.10. We recommend that you dry clean all removable covers from our Products. 1. Only selected fabrics are suitable for washing and these are identified in our stores. Please ask for details. 2. All other fabrics should be dry cleaned by a reputable cleaning company. Back-coated fabrics should be dry cleaned in situ. In all cases, should you be unsure of how to clean your purchase please contact us prior to attempting any cleaning methods. 3. All fabrics will be subject to an element of graceful degradation in both use and washing or dry cleaning. Please ask for a copy of our care instructions. 4. When furniture is ordered at separate times, Delcor cannot guarantee to colour match fabrics or other materials. 5. Normal settling of foam, feather and fibre should be expected and is a characteristic of all cushions. Regular plumping and turning of cushions is essential. Please refer to our furniture care instructions for further details. 6. All upholstery supplied by Delcor complies with the requirements of the ‘Furniture and Furnishings (Fire) (Safety) Regulations 1988 (as amended)’. 7. All furniture sizes quoted in our sales literature are approximate and intended for guidance only. Delcor will use reasonable endeavours to supply the customer with the exact goods ordered. 8. Any prices quoted by Delcor are provisional only and bound by written quotations Delcor reserve the right to increase the price at any time. Orders placed on hold for more than a period of 6 months may be subject to a price increase. 9. If the furniture is not of a satisfactory quality, Delcor initially require the opportunity to establish & rectify any problems. This does not affect the customer’s statutory rights if the furniture is not of merchantable quality. A~ Made to order sofa range - From 16th June 2014 All frames* within this range are guaranteed against manufacturing defects for 50-years. Springs carry a 10-year guarantee. Sofa bed actions incorporated within all sofa beds carry a 5-year guarantee. Sprung bed mattresses within all sofa beds are guaranteed for 2-years. *except for Dining Chairs which carry a 5-year frame construction guarantee. B~ Made to order bedroom range - From 1st May 2017 All frames* within this range are guaranteed against manufacturing defects for 50-years. All Spink & Edgar mattresses carry a lifetime guarantee, with the exception of the Modern & Traditional mattresses. Brackets & drawer runners are guaranteed against manufacturing defects for 2-years. C ~ Recovers of furniture within our sofa range The frame is guaranteed against manufacturing defects for 5-years. Springs carry a 1-year guarantee. Sofa bed actions and sprung bed mattresses incorporated within all sofa beds are not guaranteed unless purchased as new (see Point A above). D ~ Recovers of furniture within our bedroom range The frame is guaranteed against manufacturing defects for 5-years. All seat & back cushion interiors are guaranteed against manufacturing defects for 1-year. Customers wishing to change their choice of cushion filling within 12 weeks of delivery taking place must note that a handling charge per cushion will apply. Please ask in store for further details. Accessories & all Delcor products sold off the floor are guaranteed against manufacturing defects for a period of 1-year from the date of delivery. This does not affect the customer’s statutory rights if the furniture or accessory is not of merchantable quality. 14.1. Nothing in these Terms shall limit or exclude our liability for (i) death or personal injury caused by negligence, (ii) fraud, (iii) fraudulent misrepresentation, or (iv) anything which may not be limited or excluded by law. 14.2. Our Guarantees are limited to Products sold and retained in the United Kingdom and do not cover any loss or damage caused by your commercial use of the Products. 14.3. We shall have no liability to you in connection with these Terms for any (i) loss of profits, sales, business or revenue, (ii) business interruption, (iii) loss of opportunity or (iv) other commercial losses that you suffer in relation to your commercial use of the Products. 14.4. We will not be responsible to you for any loss or damage unless it is a reasonably foreseeable consequence of our breach of (or other failure in connection with) these Terms. Losses are foreseeable where they could be contemplated by you and us at the time that we accept your order. We are not responsible for indirect losses which happen as a side effect of the main loss or damage and which are not foreseeable by you and us. 14.5. We shall not have any liability to you for any non-performance or losses that are wholly or mainly caused by anything beyond our reasonable control. 15.1. Details of our Guardsman furniture protection scheme are available on request. Separate terms and conditions apply. 16.1. The following terms and conditions in this clause 16 apply only to purchases made on our Website. 16.2. We endeavour to display as accurately as possible the colours of our Products that appear on our Website. However we cannot guarantee that your monitor will accurately reflect the colour of the Product delivered. 16.3. Our contract with you shall not be concluded until we have received your valid payment details and we have accepted the order by way of a confirmation by return e-mail to the email address you have given us during the online payment process. 16.4. Every effort is made to ensure the complete accuracy of our Website however some prices/details may change from time to time and it is possible that errors may occur. If we discover an error in the price of the Product(s) you have ordered we will inform you as soon as reasonably possible. You will then be given the option of re-confirming your order at the correct price or cancelling your order. If we are unable to contact you using the contact details you provided during the order process, then we may treat the order as cancelled and notify you of this by email. If an order for Products is cancelled in accordance with this clause 16.4 and you have already paid for the Products, we will give you a full refund as soon as reasonably possible (and in any event within thirty (30) days of cancellation). 16.5. We reserve the right to refuse any order placed by you. 16.6. To the maximum extent permissible by law, we exclude all warranties, expressed or implied as to the accuracy of the information contained in any of the materials on the Website. 18.1. A person who is not a party to these Terms shall not have any rights under the Contracts (Rights of Third Parties) Act 1999 to enforce any of the provisions of these Terms. 19.1. All Delcor furniture is sold subject to these terms and conditions, copies of which are available on request. These terms and conditions are governed by English law and both parties agree to submit to the non-exclusive jurisdiction of the English courts. It is important to make sure that your new Delcor furniture will fit into your home. This quick guide will help you to work out if your furniture will fit into your room via doors, hallways and stairs. If it does not fit, then don’t worry - all of our furniture is custom made and for a nominal charge is able to come apart and be assembled on-site by our qualified delivery team. Firstly, note down the length, depth and height of your furniture. This information can be found on the product pages of our website. Let's start at the front door. Open the door as wide as possible and measure the distance between the outer edge of the door to the inner edge of your doorframe at its narrowest point. Compare the width of your doorframe with the height of your item allowing a little wiggle room on either side. This will determine if we can take the item through on its side. If the door width is greater than the height of your item, then it will fit through. If the width of your front door is too narrow, then our delivery team can try to bring your item through upright. In this case, measure the height of your doorway making sure that it is greater than your item width. Again, check that there is some wiggle room. If it does not fit give us a call as we can take off the legs or look at alternatives such as taking your furniture apart and assembling it on-site. We need to make sure your furniture can get into the room that you’d like it to sit in. Measure the width of any areas that the item must pass through, such as hallways and internal doors at their narrowest points. Remember to take note of possible obstructions such as radiators, shelving, skirting boards and light fittings. As long as the width at the narrowest point is greater than the height of your item, then your furniture will fit. If your furniture needs to go up any stairs, measure the width of the staircase at its narrowest point. Remember to take any handrails or light fixtures into account. If this distance is wider than the height of your item then it should fit. If you have a bannister and the furniture needs to be lifted over it, check that the distance between the bannister and the ceiling is greater than the depth of the item. Once at the top of the stairs, make sure there is enough room on the landing for our delivery team to manoeuvre your item into your chosen room. If you have any questions please give us a call or pop into one of our showrooms, we would be happy to help. The final part of the Delcor experience is delivery. We understand the importance of and respect that is required when delivering to your home – that’s why we do it ourselves. All our deliveries and installations are carried out by our own trained delivery teams using our own vehicles. We will call you 7 to 14 days prior to your delivery to discuss the exact dates. At that time, we can talk about an am or pm delivery. You can change your delivery slot at any time but this may affect when the next delivery slot will be available. On the day we will give you a call one hour before your delivery is due. We will remove and packaging and ensure the room is left just as we found it. Please ensure that the room is ready and the space for your new piece of furniture is ready. Unfortunately, we cannot remove any old furniture due to health and safety. POR - Price on request, please contact Head Office on 0191 237 1303. If you would like to order a copy of the latest Delcor brochure, please complete your details below.